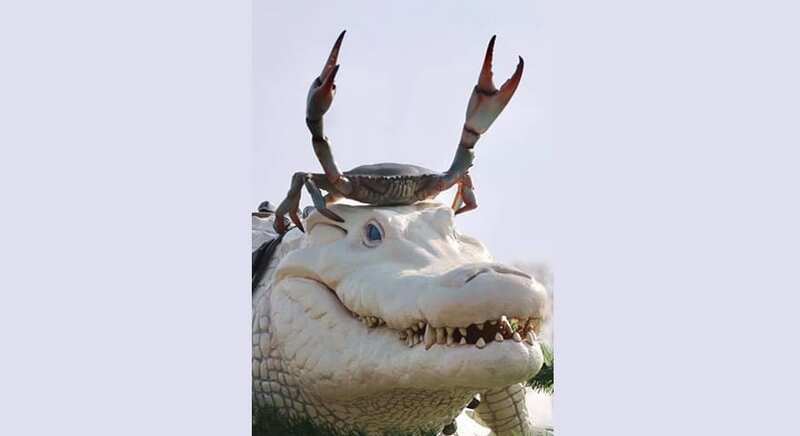 The Brief: A meme of a crab riding on an albino crocodile represents someone supporting another person or thing. The crab in this photo raises its arms while riding on this enormous and fierce reptile. This has been used as an image macro in memes about one person or thing carrying or supporting another. This crab and albino crocodile meme is popular on Reddit.